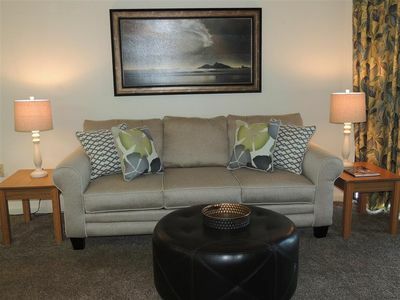 *Spacious, comfortable 1850 sq. 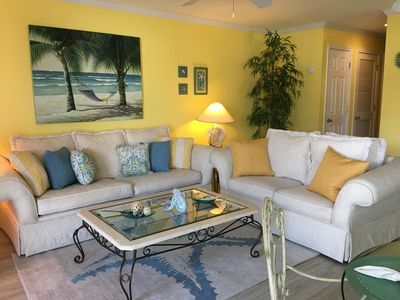 ft. 3 BR / 3 BA 5th Floor condo at Barefoot Resort on the Atlantic Intracoastal Waterway. There are 2 Master Suites. 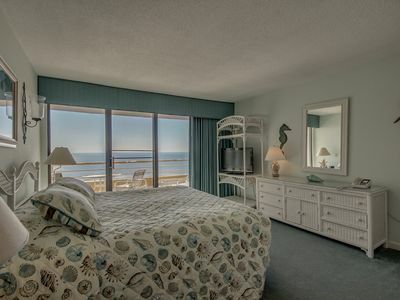 The King Master Suite has a Serta iComfort mattress and all bedrooms are equipped with flat screen televisions. Ours is the only one that has been modified so all three bedrooms have direct access (not hallway access) to their own bath and shower for maximum privacy and convenience. 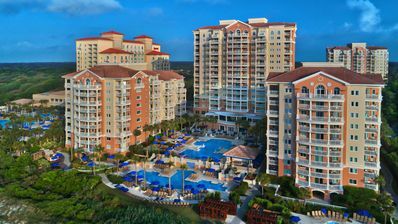 Great view of the largest pool in the area, marina and Barefoot Landing. 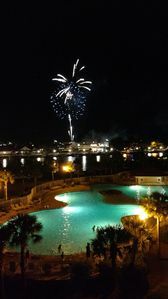 During the summer, you can sit on the balcony and have a direct view of fireworks put on by Barefoot Landing every Monday night. Very short ride to the beach. Night lights are an added feature as you can view the lights throughout the harbor from inside and outside of the condo. 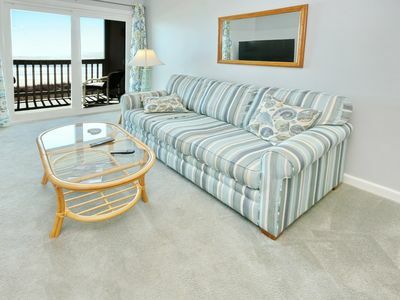 The view from this particular floor allows you to sit inside or cook in the kitchen and still see the waterway. Gated parking area. 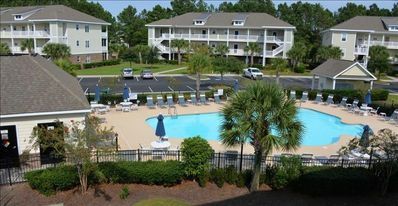 *Great North Myrtle Beach location is in the center of lots of entertainment, good dining, shopping, four golf courses on the property and other fun activities. 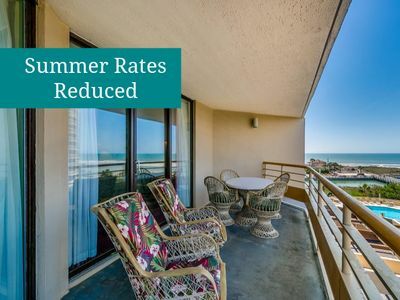 Or pick a comfortable spot on the balcony that spans the length of the condo for just relaxing with a good book, watching the activity on the waterway or at the pool or marina. 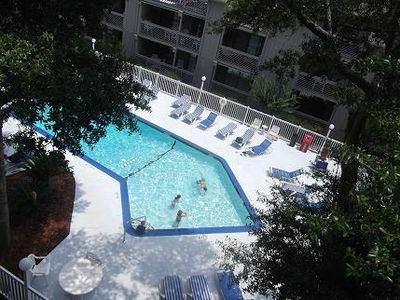 * The largest saltwater pool in the area includes two large areas only a few inches deep for toddlers and lots of steps to sit on in the water. Large heated outdoor whirlpool for relaxing. * Barefoot Resort is home to the Fazio, Dye, Love and Norman Golf Courses. The SC Golf Course Panel honored the Fazio and Love courses by including them in the “Top 30 Best Courses You Can Play In 2009”. The new “Range” at Barefoot Resort includes a 30-acre illuminated, manicured grass practice area where you can improve your golf game. 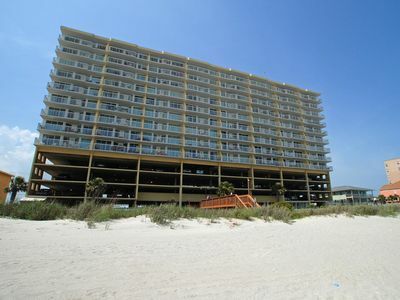 * Marina is a full-service facility. It’s home of Barefoot Water Sports offering pontoon and jet skis for rent. Join a guided trip on jet skis to have an encounter with wild dolphins. Two yachts are available to charter for eight or 16 guests to have private outings. 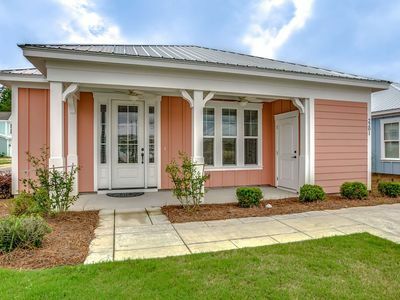 * Three-minute drive across the bridge to Alabama Theater, House Of Blues, Alligator Adventure and the many shops & restaurants at Barefoot Landing. * 15-minute drive to the Carolina Opry, Pirates Voyage Dinner Show Adventure and Tanger Factory Outlets. 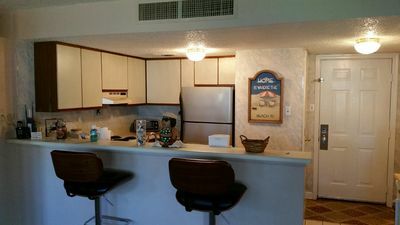 * Less than 5 minute drive to Barefoot Commons Shopping Center with large 24-hour Bi-Lo grocery store. Walgreen's, CVS, restaurants and shops also within 5 minute drive. 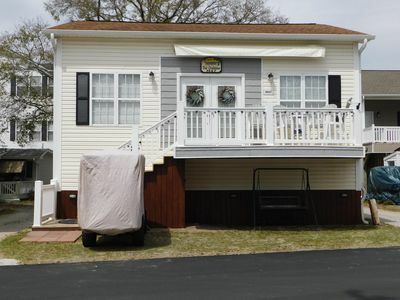 * A short drive to your choice of many Miniature Golf Courses and other attractions. 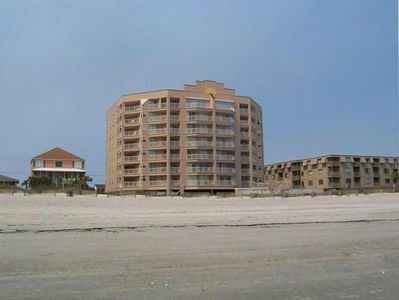 * Conveniently located close to many exciting attractions located on Hwy. 17 South. 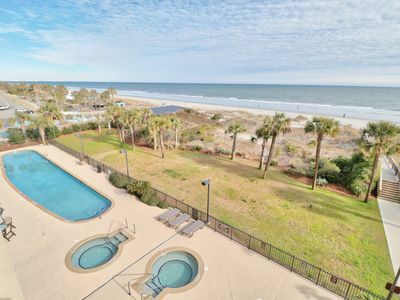 Truly, this condo at the Barefoot Resort is in the center of fun-filled activities in North Myrtle Beach and centrally located between Myrtle Beach and Cherry Grove beaches. 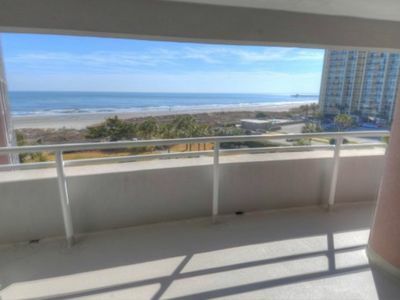 Newly-Updated 3-BR - Ocean Views & Top Amenities - Walk to Barefoot Landing! Great Quiet Location. 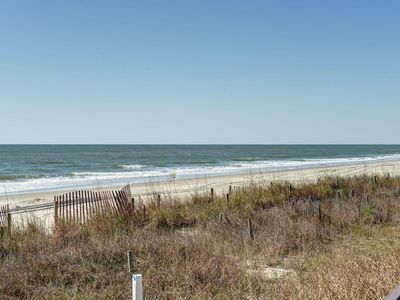 Only Steps From The Ocean. 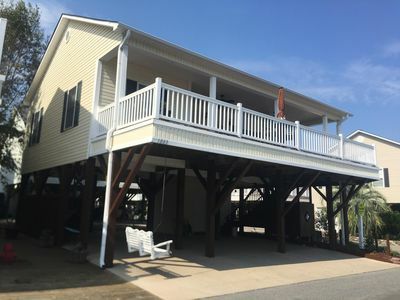 Both Front And Back Decks. 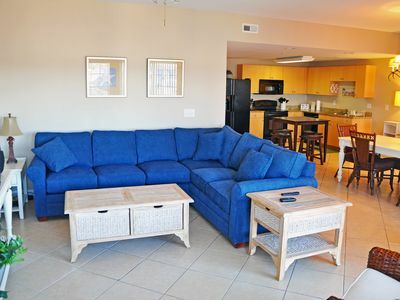 Guests are sure to enjoy a memorable vacation in this fully furnished condo. 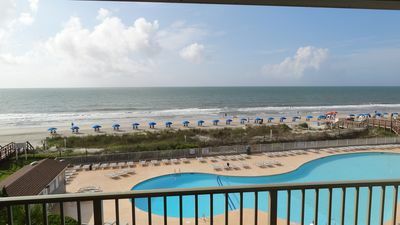 Myrtle Beach Resort - Steps from the Beach - Lots of Family Amenities !!!! NEW! 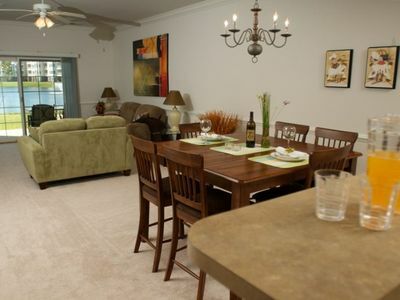 Single Level Luxury Bungalow, Wifi & Parking, 2 BR 2 BA at Barefoot Golf Resort, Sleeps 6.